At image.works, we offer loan generation programs (including daily trigger leads!) to help you achieve maximum loan income for your bank or credit union. Learn more below! Interested in sending prescreened loan offers to active shoppers? SmartTrack—our daily loan trigger platform—is the answer! We’ll tell you which accountholders are actively shopping for auto loans, mortgages/home equity loans and personal loans/credit cards, giving you the opportunity to reach out and gain their business before a competitor does. Our daily loan trigger solution can even be used to identify creditworthy prospects who are actively shopping for loans in your area. Simply give us your marketing parameters and credit requirements, and we’ll identify active shoppers within the desired radius/zip code of your office. First, send us your credit requirements and accountholder file, which we will upload to our secure platform. Next, we track inquiries from all three credit bureaus and deliver lists of your active, creditworthy shoppers in near real time. Contact us today for a complimentary analysis detailing just how many of your creditworthy accountholders shopped for loans in the last 30 days! By combining our loan generation programs with variable-data printing and cross-media marketing, you can maximize your chances of capturing consumers’ attention. 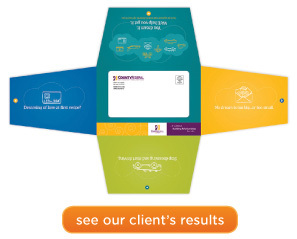 Use variable-data printing to advertise different rates to select recipients based on individual credit levels, and take advantage of cross-media marketing to connect with targets via direct mail, email and web. Ask for details!